Procter & Gamble is one of the largest corporation in the world. Our Research & Development Center in Brussels is base of every new Fabric & Home Care product across our portfolio worldwide. Products from well-known brands such as Ariel, Tide, Dash, Mr Proper, Dreft, Downy, Fairy, Lenor and Ambi Pur have all been developed from scratch till the final product here. Are you curious about the chemistry and technology behind our products? Do you want to make an impact on products that affect consumers around the world? Then apply today to learn more about the opportunities for you at P&G! We have opportunities in the following areas: Product Research (consumer insights), Process Development (technology upgrades), Product Design (formula improvements) and Packaging (packaging optimization). We are looking for Bachelor graduates to join us in our Brussels Innovation Center (located in Strombeek-Bever). What does it take to come up with some of the world’s most well-known brands? Well, a whole lot of science, to start. 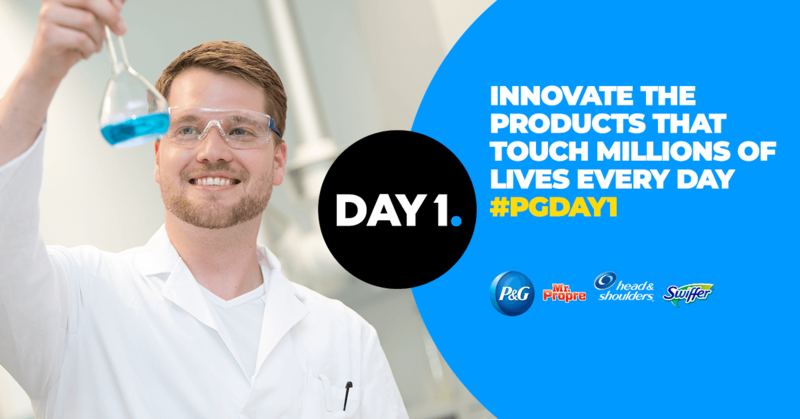 Our Researchers at P&G go to work, making and improving the products for billions of consumers who use products like Gillette, Dash, Swiffer and Pampers every single day. We’re talking big innovations, small bets, groundbreaking technology, state-of-the-art labs, micro-scale plants and a team full of inventors to make this happen. Communicate results to your manager and other team members, making special note of unexpected observations. You are autonomous and have a real teamwork spirit. Receive new 'Product development, Lab' jobs in Vilvoorde - Zaventem straight to your mailbox.